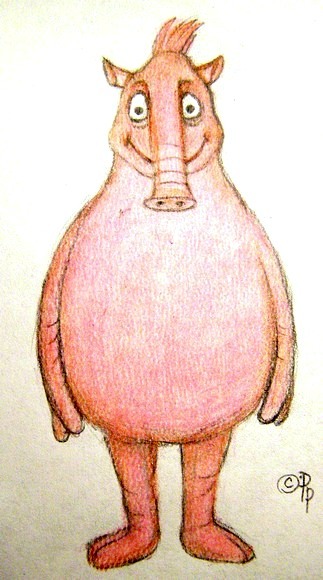 Pink Tapir, professional foam puppet. Movable mouth. Fingers are bendable.